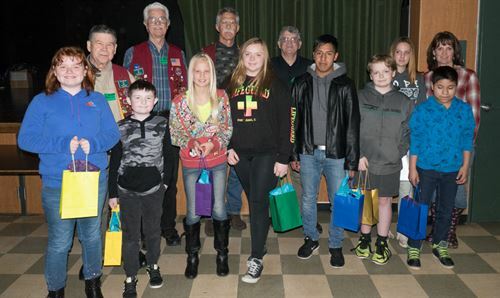 For the third year, the Lion's Reading Contest at Lyman Gilmore Middle School in Grass Valley kicked off with a "Celebration for Reading" ice cream party co-sponsored by SPD Markets and Gold Country Lions Club. Lions Ken Eslick and Alan Archer handed out ice cream to more than 500 students while encouraging them to read and enter the contest. The contest was coordinated during the month of February by school librarian Roxanne Jones, who helped students select books of the appropriate reading levels. Upon completion, students then took computer-based quizzes, which they were required to pass at 80 percent or better. For each book read and accompanying quiz passed, students got their name entered into a drawing for an Amazon Fire seven-inch tablet. 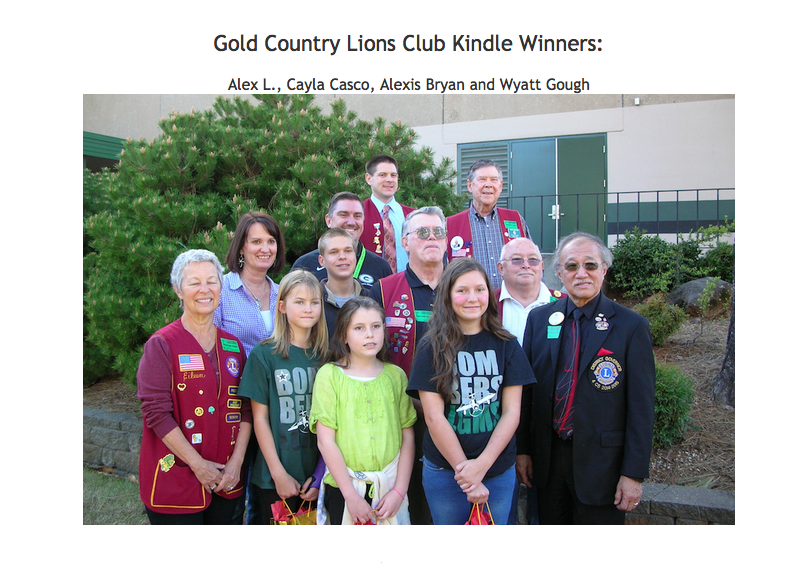 At a school assembly in March, Principal Chris Roberts called forward the winners from each of the eight grades to be presented with tablets by members of Gold Country Lions Club. During the contest, students read 780 books with a nearly 90 percent pass rate of the quizzes. All students, whether they were struggling or advanced readers, could enter the contest by reading a book at their reading level and potentially win one of the prizes. From left, Caylin Hannah, Brandon Devillier, Justina Meadows, Kiersten Meadows, Daniel Velasquez,, Christian Hughes, Mario Galindo. Back row, Gold Country Lion Alan Archer, president Michael Straight, Tom Parilo and Ken Eslick, Dana Owen and school librarian Roxanne Jones. 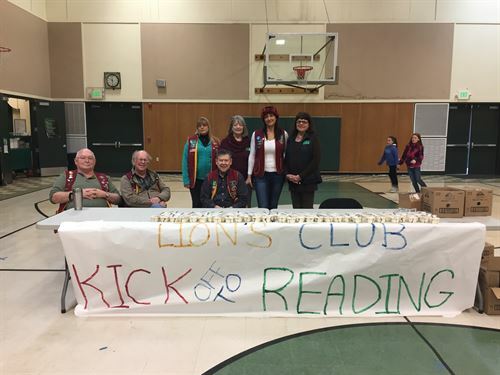 For the 4th year, the Lion's Reading Contest at Lyman Gilmore Middle School in Grass Valley kicked off with a "Celebration for Reading" ice cream party co-sponsored by SPD Markets and Gold Country Lions Club. Lions Lions' club members handed out ice cream to more than 500 students while encouraging them to read and enter the contest. The contest was coordinated during the month of February by school librarian Roxanne Jones, who helped students select books of the appropriate reading levels. Upon completion, students then took computer-based quizzes, which they were required to pass at 80 percent or better. Back Row: Mrs. Jones, Mr. Roberts, Alan Archer, Ken Eslick, Mike Ferguson, Brandon M.
Front Row: Austin S., Daniel A., Yvette H., Oliver P., Kaylee E., Emma R.